Finalist of The Food Blogger of the Year award at The Golden Chopsticks Awards 2018. 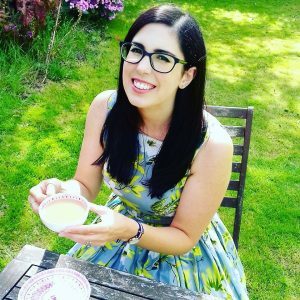 My name is Clare and I am a Sussex based food blogger with a passion for Japanese, particularly ramen, Chinese and other oriental food. My Mum encouraged us to experiment with cooking from a young age and I’ve really found a passion for being in the kitchen. I love experimenting with different cuisines and after my husband suffered badly with IBS, I had to rethink what we were eating. My attention fell to oriental cuisines, particularly Japanese and Chinese, because of their healthy approach to cooking combined with amazing umami flavours, fresh ingredients and fragrant herbs and spices. After trying ramen for the first time a few years ago, I really wanted to learn how to cook it myself and it was this that started my food blogging. I struggled to find ramen recipes at the time so I began experimenting and creating my own. I now create my own noodles from scratch as well. My food blog started off with just recipes for ramen dishes and has now expanded to include recipes for desserts and other oriental dishes and sides. I also share my reviews of restaurants, oriental food and drinks, and cookery books.